A lively exchange over Magna Carta, Bragg's series of programmes on it, and Barnett's criticisms of those programmes. Flickr/Robert Burdock. Some rights reserved. It’s difficult to know where to start with Anthony Barnett’s attack on me on openDemocracy. Let me take it point by point. To take the beginning of a series of sneers. I have no idea what he means by “passes himself off as Melvyn on the Today Programme and BBC Radio 4.” I do no such thing. For broadcasting and writing I use Melvyn Bragg. He also writes in such a way that seems to imply that the Today programme is not on Radio 4. Which is just odd. I did denounce the Mansion Tax. I thought it was a clumsy way to tax richer people. Within a few days Ed Balls had made so many promises of exceptions that it was meaningless. I worried that in Hampstead where we had a very small majority it would have a negative impact. Thanks to a terrific campaign by Tulip Siddiq - of which I was part, in meetings and in canvassing (a small part but still there on the streets as I was for three weekends in Carlisle, which sadly we lost to an incumbent Tory) – we won the seat and I was delighted to be asked by Tulip to speak at her celebration event. His remarks on my report of a meeting at the British Library are simply silly. What I said in a follow-up question was exactly what Barnett says I did not say. I thought that was implied in the quoted remark about it being “a more politically correct, less historically accurate and more impoverished view of history than this”. I pointed out that it was not squalid, was not “a little deal”, had 63 substantial clauses in abbreviated Latin etc. I did not have time in a Q&A session to go through other clauses. But clearly the speaker did not know about Section 7, the Right of Widows, and Section 8; Widows cannot be forced to marry while they wish to live without a husband. He seems to like to mock the word “Baron”. A lot of us do. But despite efforts that I and others have made over the years we have failed in several attempts to make it an elected second House. As it is, it serves a useful purpose as a revising chamber. Perhaps Barnett may like to consult some of the lawyers in the House of Lords to have this confirmed. And the intention to bring it into democratic accountability will continue. To say that I “shunt away relevance and turn our history into a chat” is a slur. He mentions the four programmes that I did with the producer Tom Morris on Radio 4 in January. I do not think there is any evidence that he heard them. Tom Morris was a fine producer at the BBC for talks programmes (he left the BBC a couple of months ago). The commission he was given was to outline the historical background to the document with special attention paid to the events of the 12th and 13th centuries. This was to be – and proved to be – the platform for a continuing number of programmes on Magna Carta throughout 2015. He talks about my “casual uninterest”. That’s another slur. I have written about Magna Carta before, I’ve studied it carefully and Tom Morris and I took the greatest possible care with those programmes which received praise from serious historians and critics. He mocks the idea that I call Magna Carta “the big Charter”. It is often called the Great Charter. Perhaps big was a little too emphatic. But to suggest that I might think that Magna refers to a choc ice is puerile and insulting. But he gives himself away completely when later in the piece he talks about “narrow scholarship” and makes a passing reference to Linebaugh’s majesterial review of David Carpenter’s new 600-page history. Had he heard the four programmes he would have known that David Carpenter was the principal commentator throughout. I interviewed both him and Professor Nicholas Vincent who between them provided a learned and scholarly account of the events which led to Magna Carta, Magna Carta itself and the immediate effects of it. Tom Morris and I also went to the British Library where I interviewed the curator of Magna Carta. And to Canterbury where we talked to Professor Louise Wilkinson about other charters which led up to Magna Carta. And to Runnymede where I talked to Professor Justin Champion and Daniel Hannan. What Tom Morris produced and what I took part in was a 4-part documentary which merits far more than the snide and I think ignorant dismissal of Barnett. But of course Barnett has his own view of what the programme should have been. Like many others he wants to hijack Magna Carta for his own purposes. But that is no excuse for criticising a programme not for what it was, but for what in Barnett’s view it ought to have been. Why is it that he can’t stop being nasty? He writes “as if to give himself street cred” I bring in “the argument about 42-day detention in 2008”. What on earth has that got to do with street cred except in the blinkered little ideological view of Barnett? I regret that I did not vote on the motion in the House of Lords against 42 days’ detention without charge. Sometimes, despite best efforts, it’s impossible to get there for a particular vote. Yet I can’t quite see why Barnett thinks that I ought to have felt “the need to alert the new generation of Statesmen readers to (this) failure”. Unfortunately we’re not allowed a postal vote or an electronic vote in the House of Lords. I’d like to repeat that Tom Morris was widely recognised as a producer of great integrity and effectiveness. Barnett ought to give himself a treat and listen to the four programmes he produced on Magna Carta. He might learn something. I greatly appreciate the courtesy and care of Lord Bragg’s reply to my philippic against his contribution to the Statesman’s Magna Carta feature. I am only sad that he does not address the central criticism I was attempting. First, it is the policy of openDemocracy not to use people’s titles unless there is a specific reason. After I have made my final point on the matter of his baronetcy I will default back to calling him by his real name. “He seems to like to mock the word ‘Baron’. A lot of us do. But despite efforts that I and others have made over the years we have failed in several attempts to make it an elected second House. As it is, it serves a useful purpose as a revising Chamber”. For me this does not wash. For a start Baron Bragg is a Labour Party Peer: a legislator who takes a party whip. He represents an interest even if this is not a great landed interest. As a matter of principle if you are acting in the public realm and it might be perceived that you have an interest you declare it. 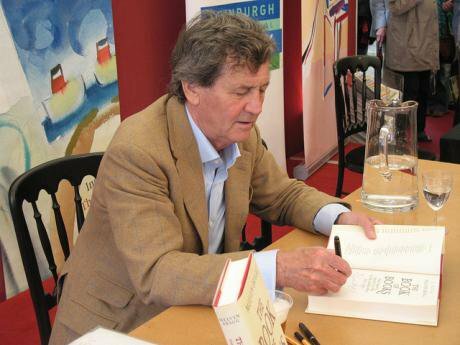 Many listeners do not know that Melvyn Bragg is Baron Bragg of Wigton. To present a series of programmes on the great conflict over baronial power that led to Magna Carta but not inform them of this is plain wrong - especially when the Magna Carta’s relevance to today’s power structures was explicitly part of the final programme. One such structure is the House of Lords. Here, as we see, he declares the role of him and his fellow barons and baronets to be “useful” and we can ask ‘useful to whom?’ What someone calls themselves when broadcasting is not an innocent activity. The BBC should insist that when it employs peers of the realm to present its programmes it lets the public know that they are titled and their party affiliation. In his original piece Bragg refers to a “recent public meeting”. It was apparently an Index on Censorship meeting at the British Library, which, I believe, was by invitation. I understand the speaker Bragg attacked for sneering at Magna Carta was Peter Kellner, (whose work has fine qualities but with whom I have had differences constitutional and democratic since the creation of Charter 88 in 1988 when Melvyn and I stood shoulder to shoulder). Now if Kellner said that the Magna Carta was a sordid little deal that did not mention women he was badly wrong in both respects, on this Bragg and I indeed agree. But was his incorrectness driven by “political correctness”? There is a populist danger to such disparagement, which I felt Bragg indulged. And if you read his piece again, as I just have, a reader who does not know the document would come away believing that Magna Carta does indeed not mention women – and that Kellner’s fault was only the ‘politically incorrect’ one of inappropriately disparaging it for this absence. The bulk of Bragg’s response is to defend the four programmes on the Magna Carta he presented on Radio 4 across January, which set the stage for this anniversary year. He makes the mistake of thinking that I did not listen to them when I did so with mounting anger and frustration at the loss of a wonderful opportunity. For me his attitude demotivated listeners. But the most important point is that even I who was keen to learn more, knew enough to know that a crucial part of the Magna Carta process was going missing: the Charter of the Forests. Bragg seems to concede a point related to this: “He mocks the idea that I call Magna Carta “the big Charter”. It is often called the Great Charter. Perhaps big was a little too emphatic.” No, Melvyn, it was not too emphatic it was factually wrong. Even David Carpenter opens his book with a section on, ‘Whence the name Magna Carta’. This surely is a proper question to introduce the subject to the public, for the name is so striking. Its origins can be traced, Carpenter shows, to 1217, to distinguish it from the Charter of the Forests drawn up in that year. To put the point in Bragg’s emphatic language: ‘Magna’ does not mean ‘big’ it means ‘bigger’; it is not singular it is relative; the very name refers to fact that it is part of something larger. "There is delight in watching a skilled medievalist at work, we are invited so to speak into the workshop of someone who loves his craft, and Carpenter loves Magna Carta as text and artifact. We deal with a bundle of documents such as engrossments, copies, and confirmations." "Despite appearances – nearly 600 pages, a glossary, a translation, a bibliography, two appendices, notes, an index, a map – this book is not the disinterested, a-political, monumental, scholarly tome it seems. You won’t find “estovers in the common” in these pages, and little on the Charter of the Forest? How can this be?" I recommend readers look at what Linebaugh writes in his review about ‘estovers’, essential for livelihood at the time, and the role and importance of the commons. It is a fair point to say that my wanting a generous focus on this in the four programmes is but a desire for a different programme. My anger is justified, however, in that none of the programmes gave this vital part of the Magna Carta process even the minimum recognition it deserves. Far from being “blinkered” I take the larger view. Finally, Bragg complains that I am nasty for raising the issue of 42 days. Again, his answer does not wash. I was part of a large campaign that tried in vain to persuade the Labour government not to proceed with 42 days detention without charge as you can see from the link. How we could have done with Melvin Bragg’s support! Of course he sometimes has to miss a vote. But on this singularly defining issue it is the responsibility of legislators to turn up. And if they can’t then to make their voice and view heard. The importance of all this argument is thrown into relief by the Prime Minister’s cynical assertion that his government’s attack on the Human Rights Act is a defense of Magna Carta! On this I am confident Melvyn and I agree. What it shows is that the Magna Carta was not an event but a process, to borrow a phrase. This was true in the 13th century and will remain so until we enjoy a codified constitution. Until then this pioneering act of codification remains a kind of history-bomb in English political consciousness. This is why its relevance is of such interest, why its articulation of rights to the commons remains a threat to the present day ruling order, and why this aspect of the Magna Carta process should not be excluded from our commemoration of it, as it has been so spectacularly in the official self-congratulatory celebrations witnessed yesterday. I think Anthony Barnett makes a fair point. When interviewing for and introducing a programme on constitutional matters which includes the House of Lords, then it would have been perfectly in order for the BBC to request that I call myself Lord Bragg. They did not make this request, nor did the producer, nor did it occur to me that it would be necessary. Yes it was Peter Kellner who spoke at the meeting to which I refer. I had largely respected him until then. He used the word “squalid” not “sordid”. My anger was directed at him because the room was packed with youngish people who had seen Magna Carta and were intensely interested to be there and hear its significance discussed by those on the panel. Instead I thought that Kellner cynically dismissed it. Perhaps my report of that is open to the reading presented by Anthony in his piece. I disagree but it’s possible. I hold to the point that Anthony was looking for a different programme that Tom Morris and I were commissioned to make. His insistence that the Charter of the Forests was a key to this matter must be taken seriously. But the fact is that the historians that I interviewed and the evidence that we called on did not think this particular charter important enough in the larger context of the historical narrative we were presenting. And yes I called it the Big Charter. It is sometimes called the Great Charter. If Magna means Greater it should be called the Greater Charter. But it’s not. So perhaps I should have called it the Bigger Charter? The issue of the 42 days was raised because The Guardian had invoked Magna Carter on that issue, and I was putting it there to show the current relevance of this largely symbolic and even mythic document which still has power. Just as I used the word “sacred” because of the reverence with which it is held in the United States for example, and Australia, and the key role it plays in their constitutional documents. I agree with Anthony about the potentially disastrous attack on the Human Rights Act. There is space for the anger that Anthony Barnett expresses. It is a relevant and important reaction. However, in this instance it was not what I set out to do in the four Radio 4 programmes or in the New Statesman article. He also writes “He declares the role of him and his fellow barons and baronets to be ‘useful’, and we can ask ‘useful’ to whom?” As Anthony must know, the House of Lords sends back hundreds of amendments every parliament to bills which come to it from the House of Commons. These are often sorely in need of amendment. It would be interesting to list all those which the Commons accept. I would argue, as would many others, that all proposed legislation from the House of Commons is in need of revision. In fact over the last five years it could be argued that the Labour Party gained more traction in its amendments in the Lords than it did in its opposition in the House of Commons. The real point is, should the House of Lords be doing that job? I am among those who think that it should be replaced. This is taking a very long time and it is always the House of Commons which finally opposes radical change. Meanwhile the system we have is “useful” to the working of the constitution we have. Tom Morris and I relied more on the work of Carpenter, Nicholas Vincent and others. We were guided by them. Clearly Anthony thinks that we should have been steered by Peter Linebaugh. We chose otherwise. He again brings up the fact that I did not vote on the Clause 42 issue. As I said, I regret that. There were overriding reasons why I could not be at Westminster on that day. There was an excellent survey of recent books on Magna Carta by Ferdinand Mount in the LRB a few weeks ago.